ALBANY, N.Y. — When pricing carbon into the wholesale electricity markets, remember to keep it simple. Also: avoid unintentional emissions increases, mind the transmission needed, incent new renewable resources, abate emissions efficiently without hurting consumers, allocate revenues fairly, and leave the legal hassles for the due processes of regulators and NYISO. 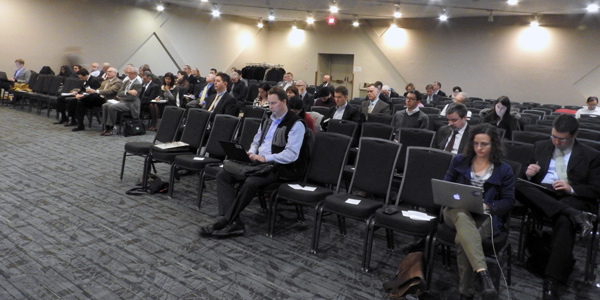 Those were some of the stakeholder comments Monday at the first technical conference of the Integrating Public Policy Task Force (IPPTF), which was established in October by NYISO and the state’s Public Service Commission to explore the carbon pricing issue as laid out in a Brattle Group report. 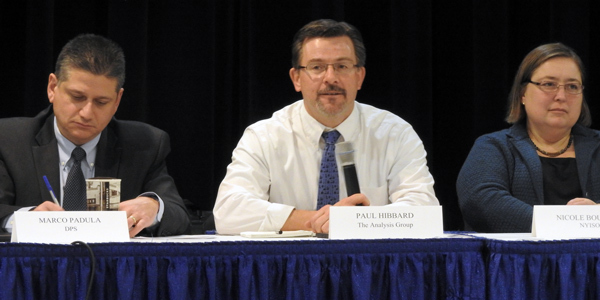 Paul Hibbard of The Analysis Group facilitated two roundtable discussions, each with 23 stakeholders. The morning session addressed border adjustment mechanisms to prevent “carbon leakage,” a parallel increase in emissions in regions neighboring New York. Resource shuffling refers to the practice of utilities scheduling their lowest-emission generators to serve areas with emissions caps, while letting heavier polluters simultaneously serve customers in other regions. 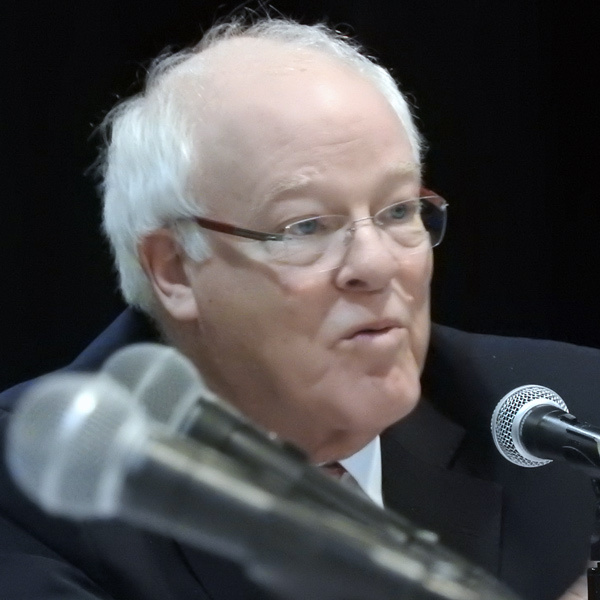 Don Tretheway, CAISO senior adviser for market design and regulatory policy, said some power producers outside the ISO have a resource portfolio with a significantly lower emissions profile than the default emissions rate for their region. In those cases, the ISO wants to give them the benefit of having cleaner resources. Tretheway noted how the roll-out of the Western Energy Imbalance Market (EIM) further complicated CAISO’s treatment of greenhouse gas costs. 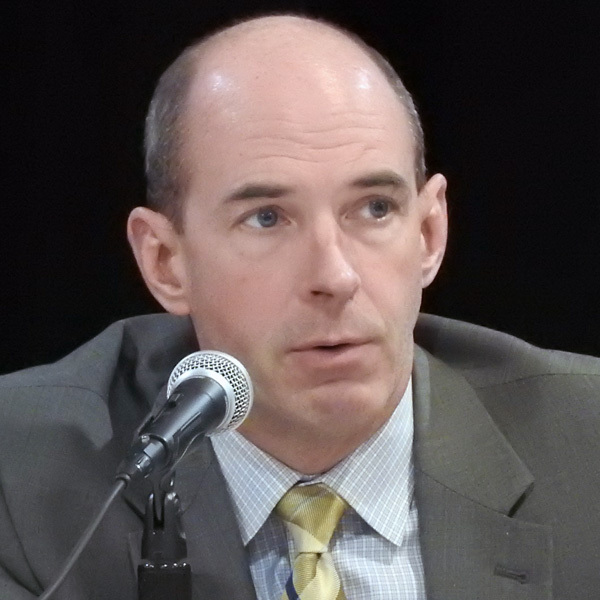 “The complexity CAISO introduced with the Energy Imbalance Market is that, not only did we need to solve to meet load in California that has a [greenhouse gas] program, but we had to actually solve to meet load in other states that don’t, and that’s where we had to separate those greenhouse gas costs into separate bids,” Tretheway said. The afternoon roundtable discussed how — and whether — New York would allocate revenues collected from a carbon pricing scheme. NYISO Executive Vice President Rich Dewey said, “We’re conflating a couple issues here. First and foremost, we need to decide if there’s going to be a fund. When I think about how the NYISO settlements process works today, that revenue amount only exists for the microsecond it takes to do the calculation in the settlement itself, so there is no actual fund. Kelli Joseph, NRG Energy’s director of market and regulatory affairs, said that making carbon pricing sustainable requires considering how RGGI moneys have been used for energy efficiency and incenting renewables in to help reduce greenhouse gases. Scott Weiner, Department of Public Service deputy for markets and innovation, cautioned roundtable participants about getting caught up in the legal details so early in the planning process. Task force co-chair Nicole Bouchez, a NYISO market design economist, said they had decided to cancel the Dec. 18 task force meeting and will next meet on Jan. 8, 2018.